Take the meaning of All-In-One to the next level. Why carry more bags than you need? Be the stylish, innovative professional with this Fine Society 3-in-1 Gym to Home Modular Tote. 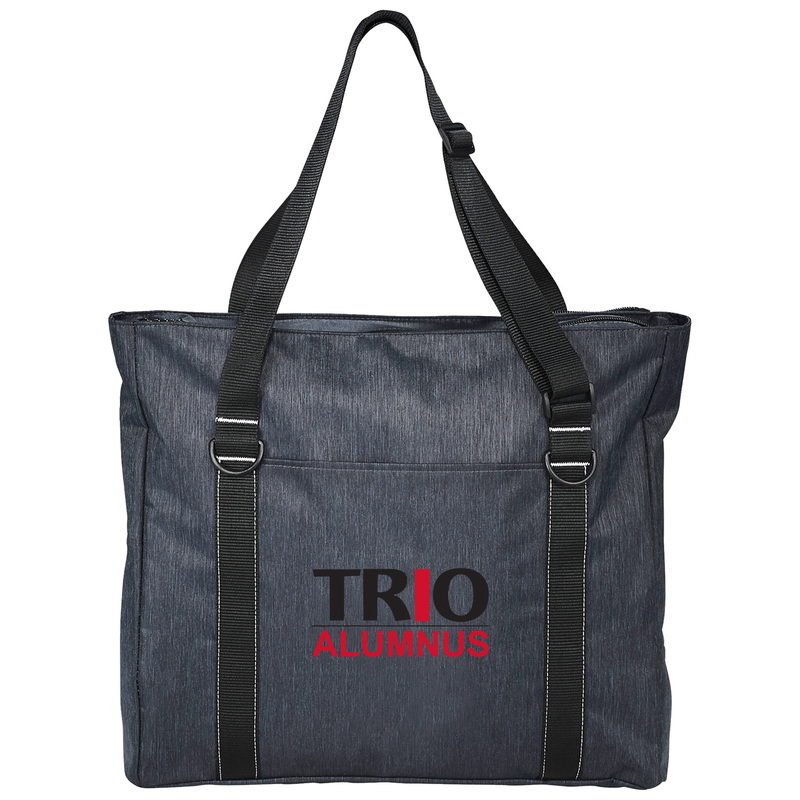 This tote includes 3 bags in one with a lunch cooler, a professional tote, and a gym tote. Use them all together or as standalone pieces. 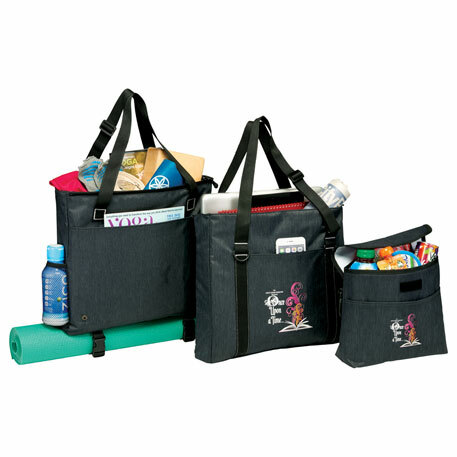 The professional tote includes a large main compartment with a padded computer pocket that holds up to a 15” laptop, tablet/iPad pocket, side panel organizer, front and back D-rings, and front slash pocket. The gym tote includes a large main compartment with bottom zippered drop pocket for shoes, adjustable straps on the bottom for a yoga mat, side mesh water bottle pocket, and a large front slash pocket. Decoration on both the lunch cooler and main professional tote bag. Fine Society branding with a color pop interior and Fine Society Hangtag that illustrates how the bags fit into one. Nylon mixed material for easy cleaning. Adjustable shoulder straps for comfort.